Minoxidil 5% + Aminexil + Saw palmetto solution with green apple extract. The solution is 100% alcohol free since the base of the complete solution is saw plametto solution. Also this is solution is 100ml in quantity while other solutions came in 60ml standard packing.So in addition to extra benefits,you save on quantity as well. Minoxidil -FDA Approved Minoxidil acts as a hair growth enhancer.Prevents miniaturization and increases anagen phase of hair regrowth. 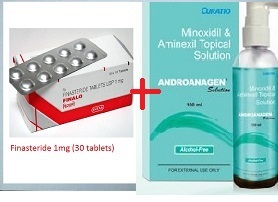 Aminexil- Androanagen solution contains a L’Oreal invented Aminexil 1.5% serum compound which Prevents spread of perifollicular fibrosis.Perifollicular fibrosis has been found as the major reason behind genetic hair loss. Perifollicular fibrosis even inhibits the action of minoxidil thus in many cases,people suffering from hair loss tend to lose hairs even after applying minoxidil for months.Perifollicular fibrosis shrinks the hair root and thus it prevents proteins from reaching the hair follicle. has the capability to stop the Perifollicular fibrosis. Saw Palmetto solution- the base of this solution is Saw palmetto which is natural DHT blocker (instead of alcohol like other solutions)which gives it an edge over other solutions that have only Minoxidil and aminexil. Apply twice a day,i.e morning and night or as directed by Practitioner. 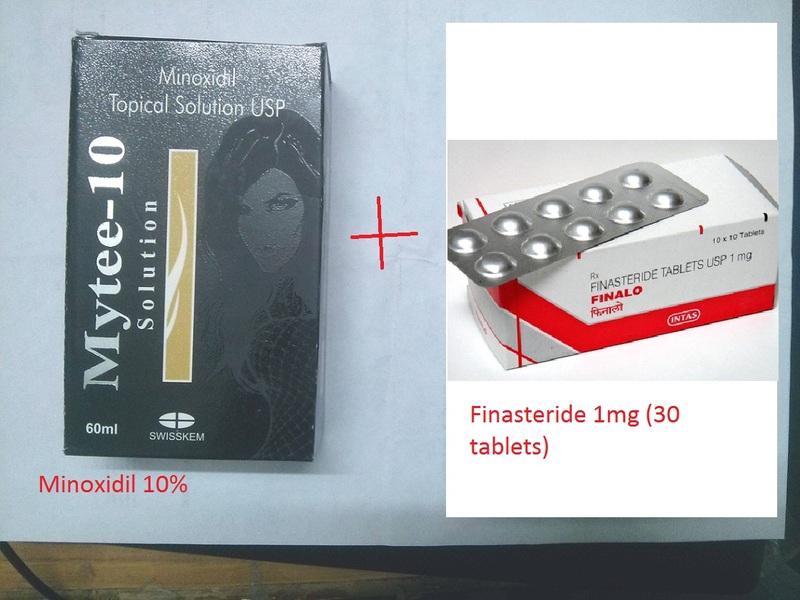 Finasteride from Intas pharma(creators of Morr-f solution). 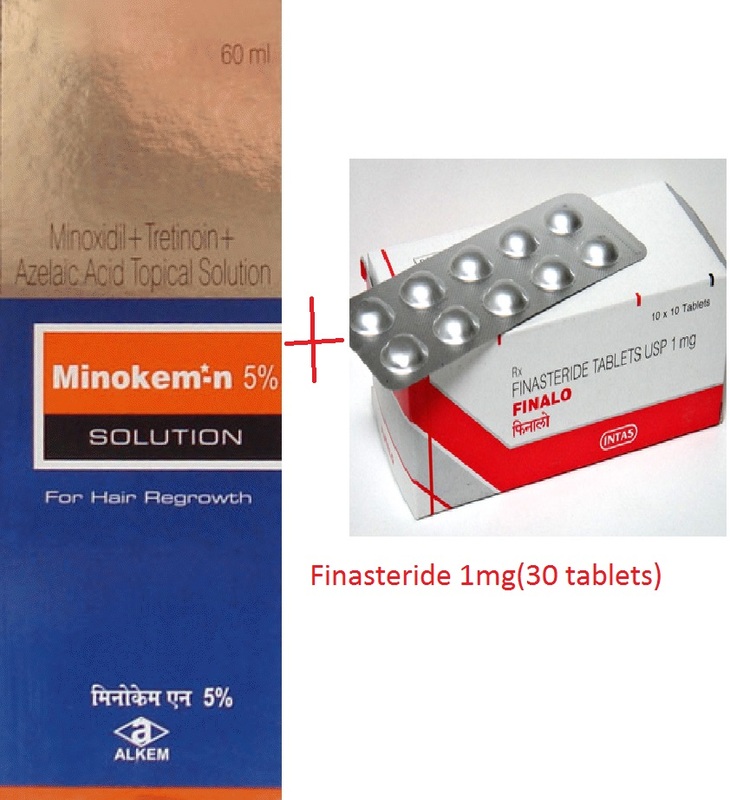 Finasteride 1mg used to treat Androgenetic alopecia.It blocks the DHT,a baldness causing hormone. Warning-Finasteride is a Prescription medicine and is supposed to be taken ONLY under the care of a practitioner .It is not meant for taking by own. Finasteride has many side effects like impotency.By purchasing this medicine,you are agreeing that you are taking it by prescription of a qualified doctor.The seller in anyway is not responsible for any side effects caused to you.